Hours during Good Friday, Easter Sunday and bank holiday may vary. We’re here to be the friendly neighbourhood faces of Three. 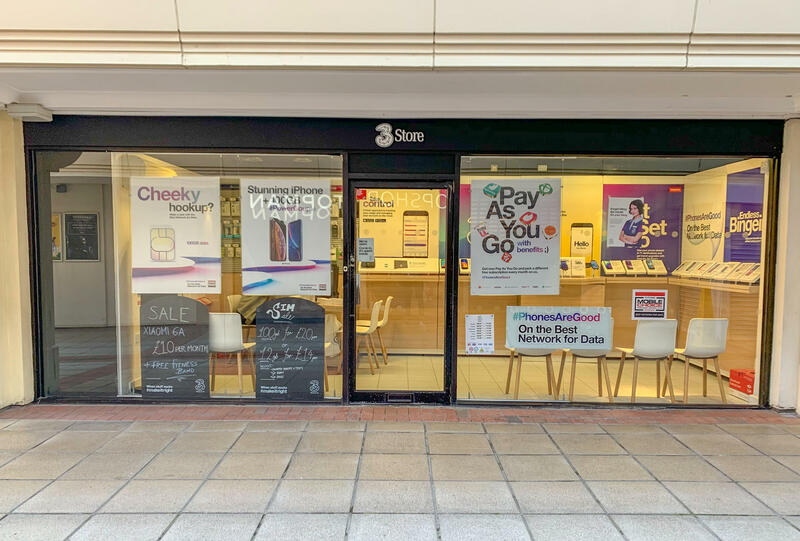 Whether you’re looking to get a new phone, upgrade, get some support, or you fancy a chat about your options for devices, we’re here to help at Loughborough II. We’ve got a bunch of great services in our stores, so check out what we can help you with below. Or, if you want a bit of a chinwag about the latest tech, we love that too. Shop: We’ve got devices aplenty, and accessories to make your new purchases even better. Whether you’re after a slick new case, a protective screen cover or a new phone to treat yourself, we’ve got a bit of everything, and some knowledgeable team members to help you with your choices. Support: Forgotten your passcode? Can’t work out how to change your settings? Don’t worry. We can offer guidance, support and troubleshooting for a huge range of problems. So, if you want a helping hand, pop down to see us. Top-ups and allowances: Don’t let yourself get caught out without any data, minutes or texts. Let us give you a hand with any issues topping up, solve any allowance questions and make sure you’re always in the know. Network: Whether you’re struggling to get signal or you’re excited to find out about our new technology, there’s plenty of information available online and in-store. Come on in and we’ll do our best to solve any problems you’re facing, or to inform you on everything happening on the Three network. You can also find out more about our Mobile Broadband offerings or check out Home-Fi. Discovery: Everyone wants to learn something new sometimes. That’s why we offer discovery sessions in all our stores. You can pop in any time, or arrange an appointment to come in and see us when it works for you. Mobile Phones.Mobile Broadband.Tablets.Top-up online.SIM Only deals.Pay As You Go.Three App. Samsung Galaxy.Samsung Galaxy S10.Samsung Galaxy S10 Plus.iPhone XS.iPhone XS Max.iPhone XR. About Three.Business.Wholesale.Gender Pay Gap Report.Accessibility.Vulnerable Customer Policy.Privacy & Security.Delivery Information.Terms & Conditions.Code of practice.Modern Slavery Statement.Careers.Contact us.Media Centre.Price Guide.Sitemap.